The Birr Figure Dancers who were crowned Leinster Scór na nOg champoions at Ballinakill and competed in the All-Ireland Final at the University of Limerick. 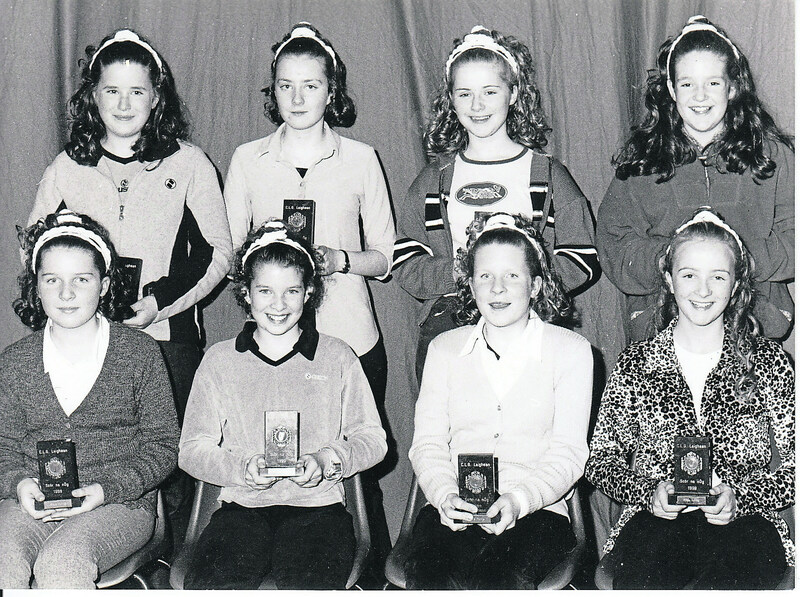 Front row l to r; Hilary Loughnane, Lisa Milne, Karen Loughnane and Lynn Kirwan. Back; Caoimhe Gibbons, Derval Kirwan, Carol Stephens and Fion Ward.